You are an elite soldier trained to handle the most unusual and shocking situations. Called in to confront a murderous force with paranormal abilities, you must contain a crisis spiralling quickly out of control. 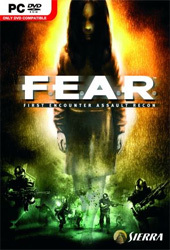 Discover the true meaning of FEAR, a fusion of stylised action and intense story.